Laranja is exactly the kind of young ensemble needed to push the boundaries of jazz. These young musicians, all students at the University of Iowa, are talented, driven, and eager for new opportunities to perform. 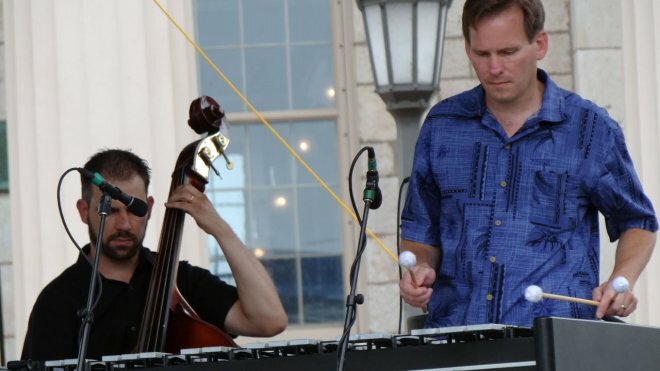 With the help of local independent record store owner Craig Kessler, they scored a major gig performing on the main stage of the Iowa City Jazz Festival - Ahead of jazz icons like Pharoah Sanders and Dr. Lonnie Smith. We caught up with University of Iowa musicians Dan Padley and Blake Shaw for a quick chat about how they got started with music and their group, Laranja.